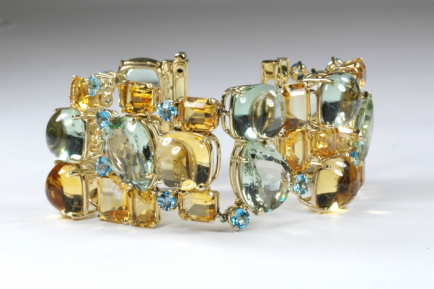 Thomas and Nora collaborated to create this lovely multi linked bracelet with a grouping of gemstones that have varied shapes and colors. 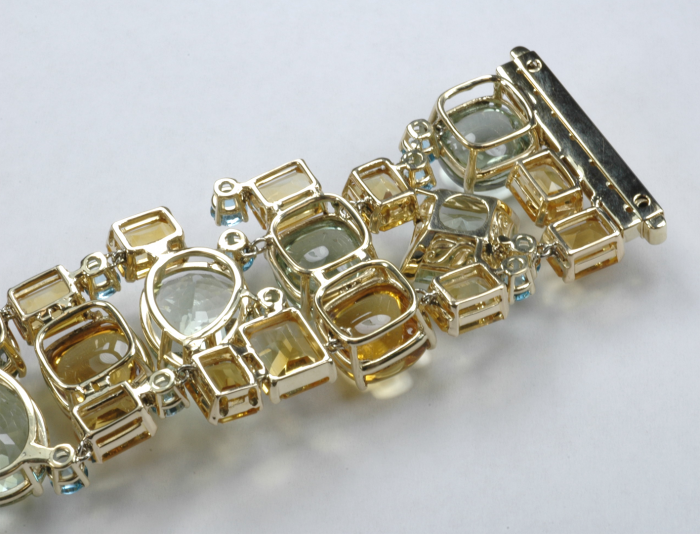 View the shots below to see this fantastic bracelet. 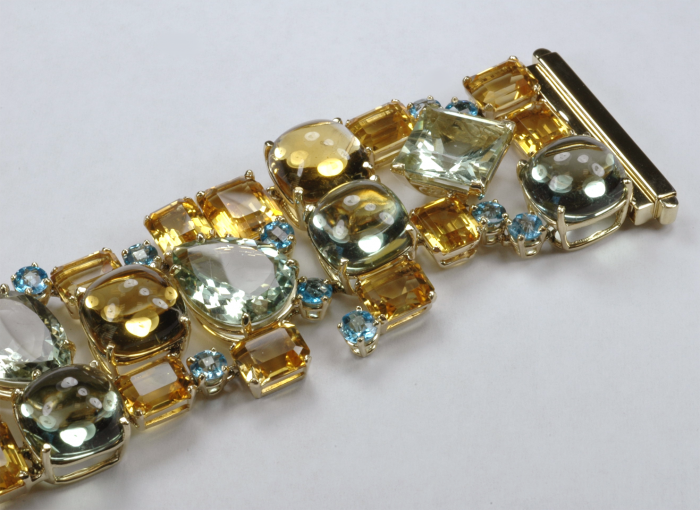 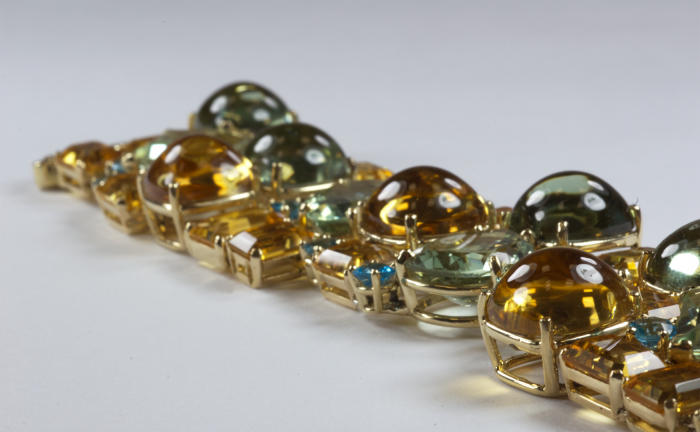 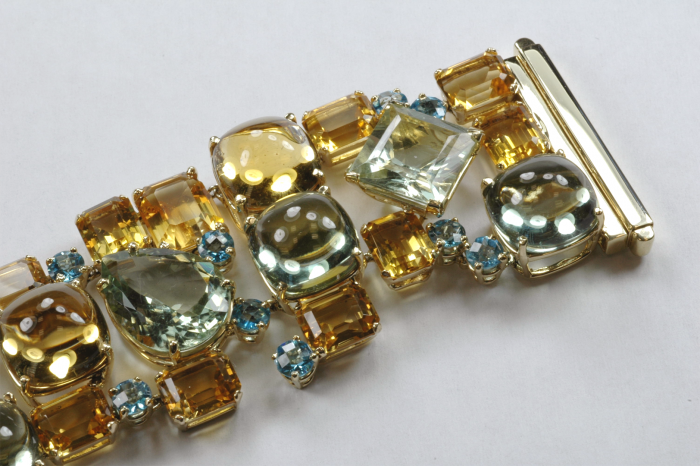 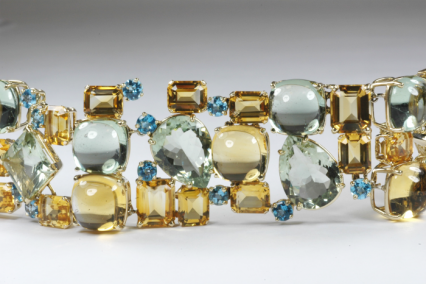 Citrine, Green Beryl and Blue Topaz create the colors in this festive bracelet.